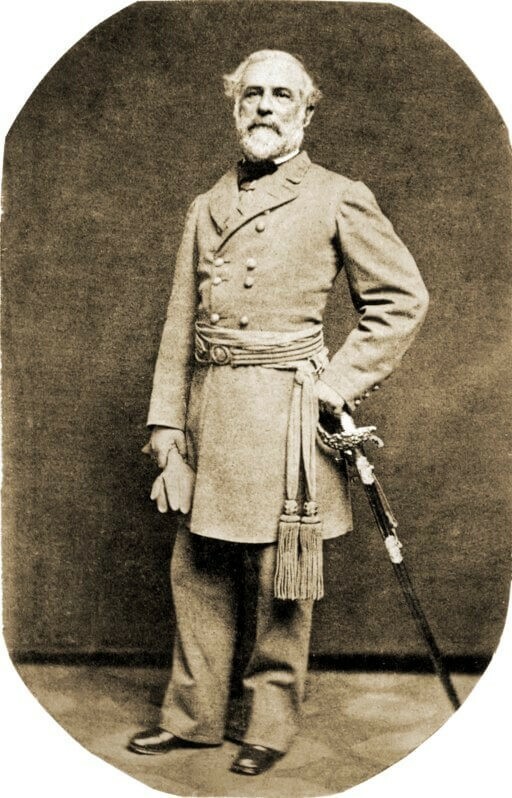 Robert E. Lee (1807 - 1870) was a top graduate of the United States Military Academy, served as an exceptional officer in the Army for thirty two years and commanded the Confederate Army of Northern Virginia during the American Civil War from 1862 till his surrender in 1865. Lee was offered a senior Union command, but elected to serve his home state fighting for the Confederacy. After the War, Lee called for reconciliation with the North, supporting President Andrew Johnson's plan for Reconstruction, and served as president of Washington College in 1865 (later renamed Washington and Lee University). Though he signed his amnesty oath in 1865, it was ignored by Johnson and lost until an archivist found it in 1970, resulting in his eventual pardon and citizenship restored by Congress in 1975. You might also enjoy reading Theodore Roosevelt's story, The Charge at Gettysburg: Hero Tales from American History and The Burial of the Guns by Thomas Nelson Page. For more, visit Civil War Stories.